The timeline shows the average team payroll in Major League Baseball from 2002 to 2012, for all teams. Also depicted is the average payroll of those teams that made the playoffs in each year. 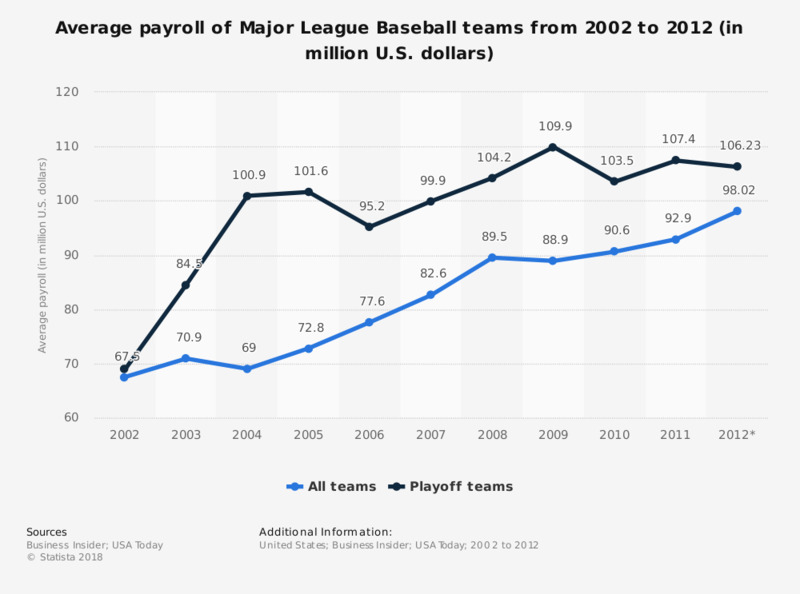 In 2003, the average payroll of all MLB teams was at 70.9 million U.S. dollars. * Salaries for Major League Baseball players on opening day rosters and disabled lists. Figures, compiled by USA TODAY, are based on documents obtained from the MLB Players Association, club officials and filed with Major League Baseball's central office. Deferred payments and incentive clauses are not included.